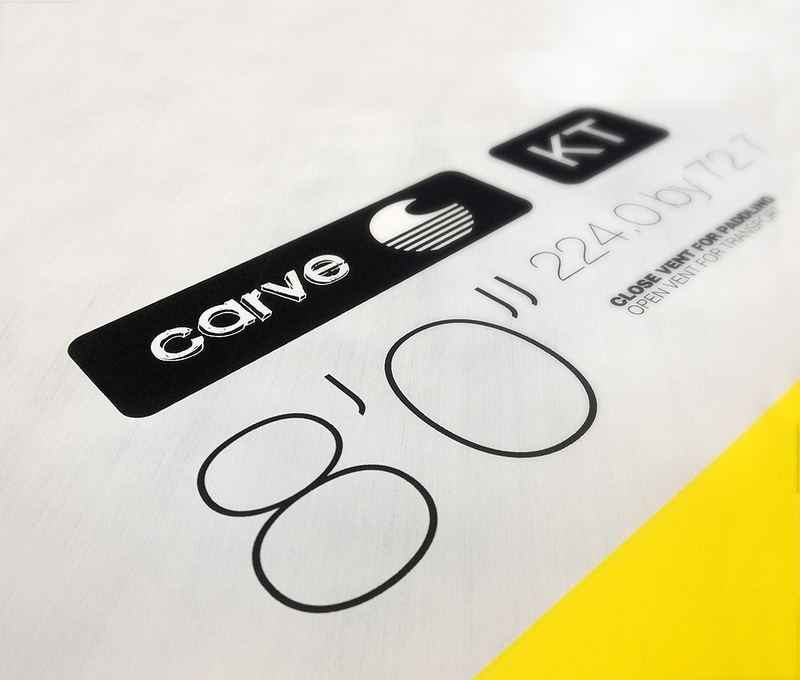 Keith Teboul: “The all new Carve is a performance oriented paddle board for aggressive riding. The fuller center outline and a more pulled in nose introduce a forgiving approach into the design, allowing to come out of risky maneuvers, feet on deck, while the foam flow supports a distinctly dynamic approach. 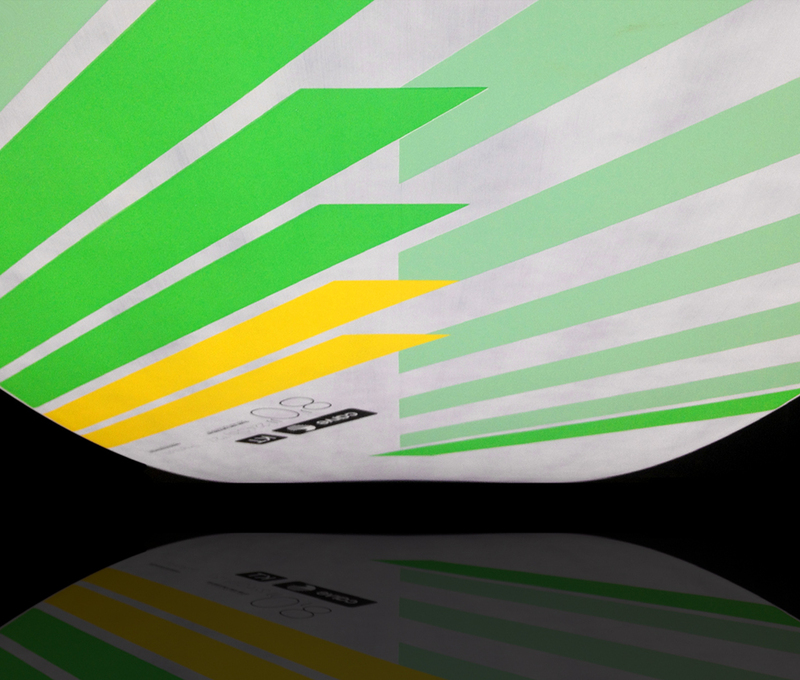 The ISD™ (Integrated Stability Deck) again provides a stable platform for ease of paddling and a comfortable ride, which in turn benefits strength and focus needed during moves on the wave. 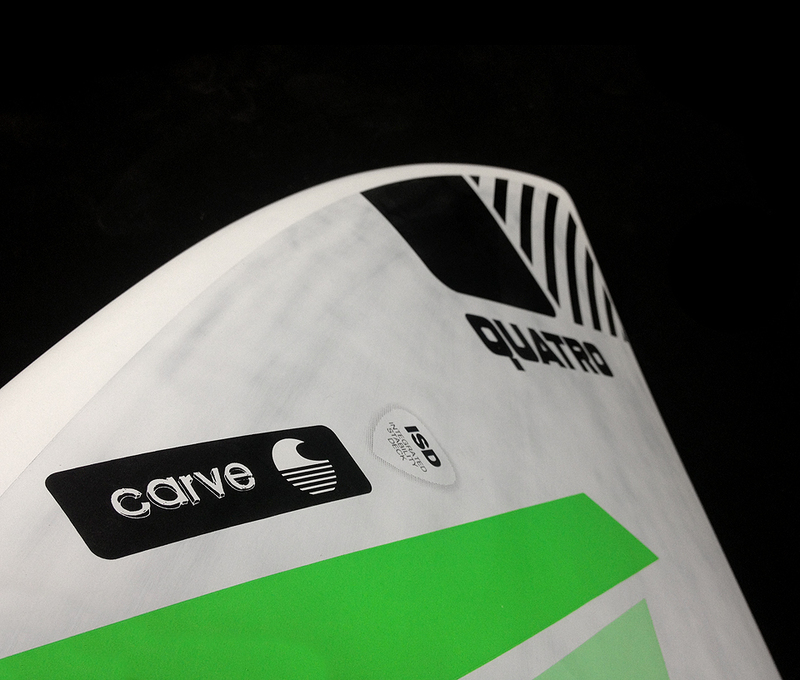 This Quatro SUP board comes with a set of perfectly corresponding FCS fin models and sizes to complement its superior shape. This Quatro SUP board comes with a custom tailored single density pad, giving you cushion under your heels and perfect grip throughout. I've had the 8'0" Carve for one year and over a hundred sessions in Maui and it is fantastic! I weigh 58kg and find the board to be very stable (even in choppy, windy conditions) and easy to turn on small waves as well as overhead monsters. 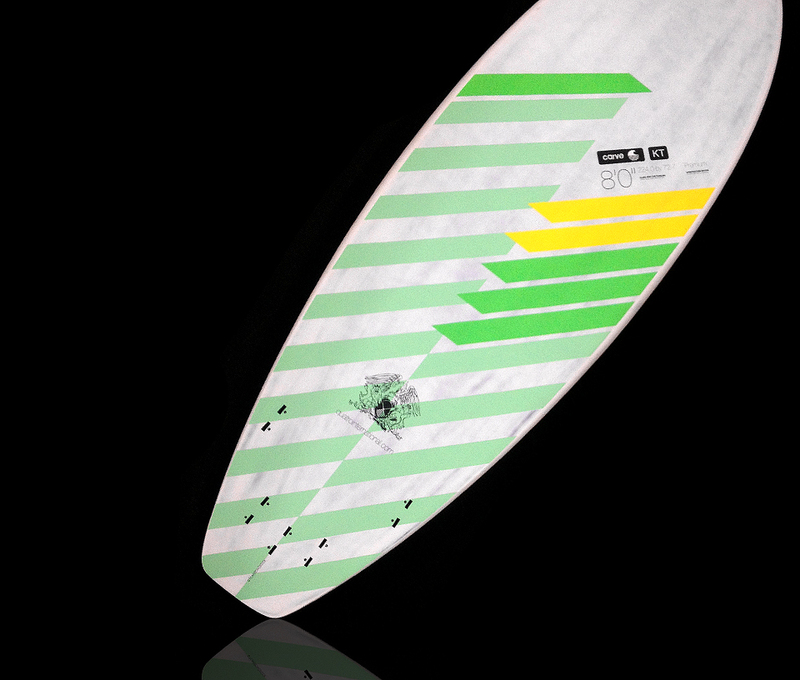 This is a board you can trust to hold you in a steep drop and is speedy on the wave, turning like a shorter surfboard. 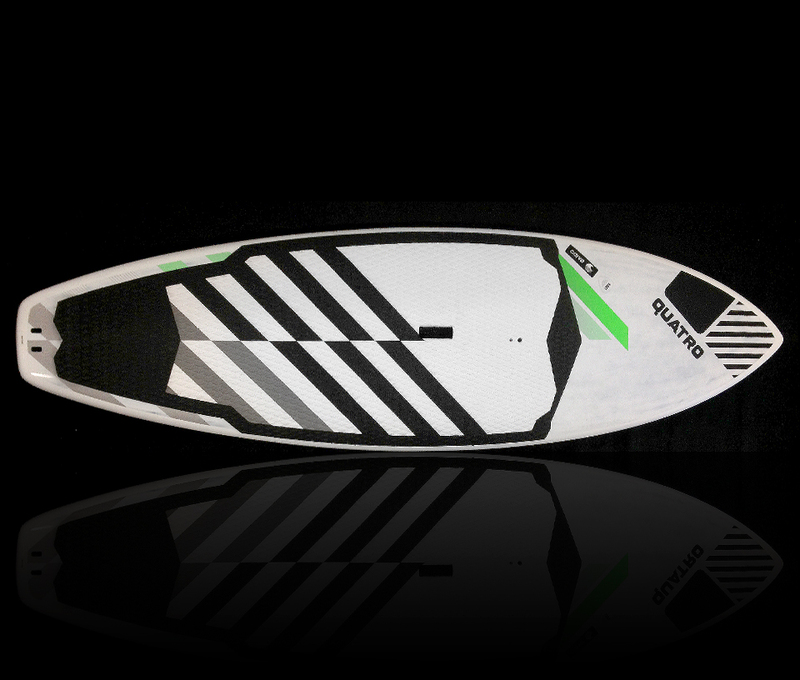 It's very light and easily makes it over broken waves as you paddle out. 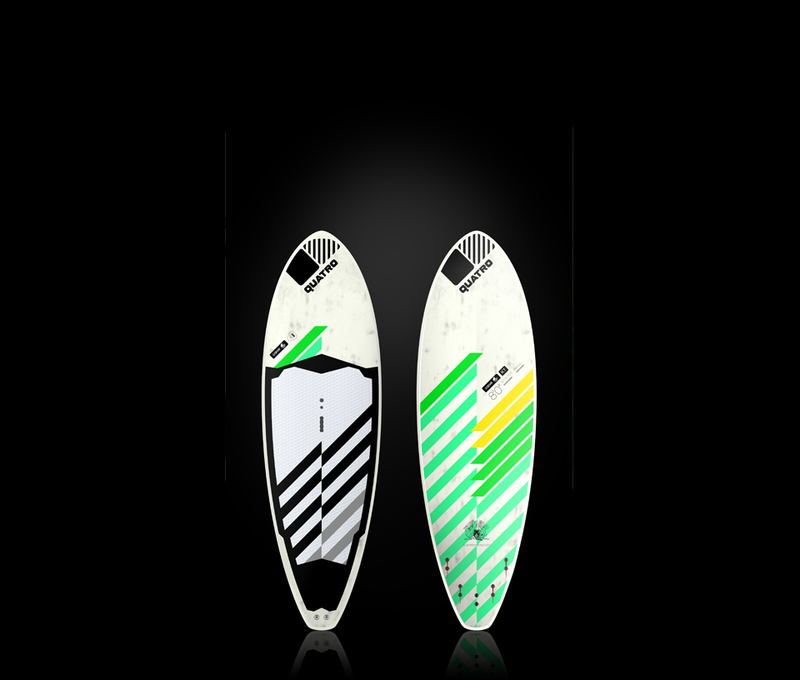 I would recommend this board to everyone who wants a SUP board that can do everything you want in the waves. Have fun out there! just got my third surf with this new toy...we are in love! I am 1.77, 87kg and was scared of jumping on a 100l board. I am glad I did. This board is extremely stable, paddles well but catches waves better than my 8'6 128l. It has a perfect balanced volume distribution with a very comfortable flat deck. so far I rode it in decent surf, first day 3' clean and fun, board felt easy, fast and turny. More than anything I was happy I wasn't falling all over the place as I thought I would. Second surf, 4 to 5' hollow waves, more water moving around But no issues with stability. On the wave was amazing, I was taking off late and deep and the board never felt out of place, super fast, loose when I wanted to be and stable and secure when I needed. It was one of the best sessions I had on a sup, it was the closet feel to a short board. i haven't tried it yet in average mushy waves, if the board likes them I do not see the need of keeping my 8'6. this is my second quatro sup, I really like my 8'6" but this is on a different league. The 8'6" is more technical and you definitely need to find the sweet spot, the evolution is unreal, this board feels great anywhere you are standing, when you stand forward it is fast and secure and when you engage the tail rocker it is extremely loose. I still don't know the range, but from to 2' to 5' works perfect and I have no doubt that would be comfortable in bigger surf. i think anyone looking for an amazing user friendly wave board should try this one.